Our far-from-ordinary DIY bride Jessica Horgan, of My Favorite Things Event Planning, and her beau, Michael Robinson, tied the knot on a such a unique day – 3.14.15! It was a “Pi Day” wedding for the books! 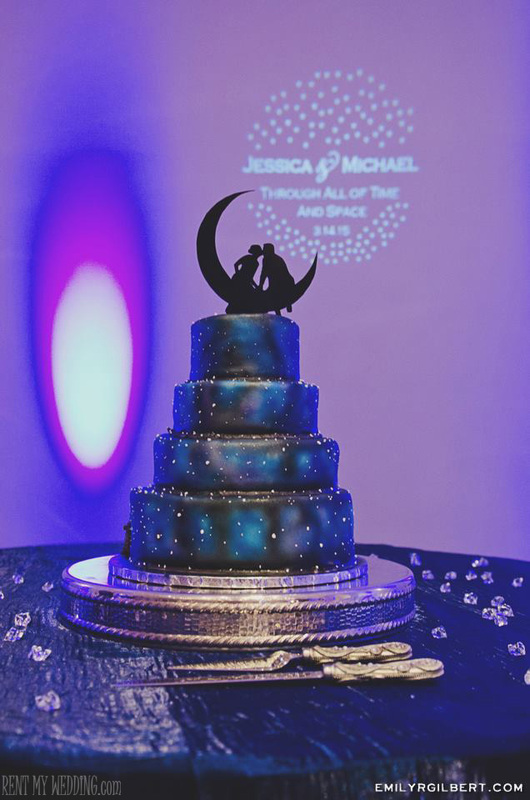 Being fans of everything space and time, there is no surprise their theme was a vibrant spacey theme that worked perfectly well with their Pi Day wedding. 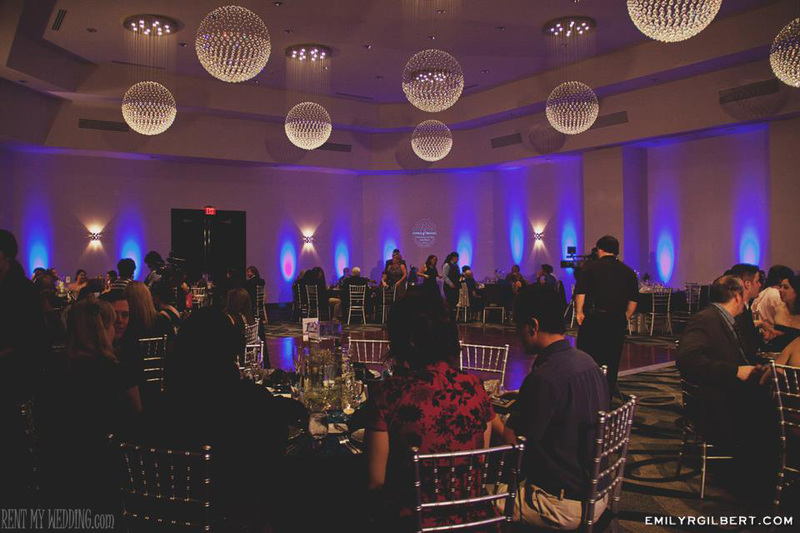 Their reception reflected space with sphere chandeliers hanging from the ceiling resembling planets. 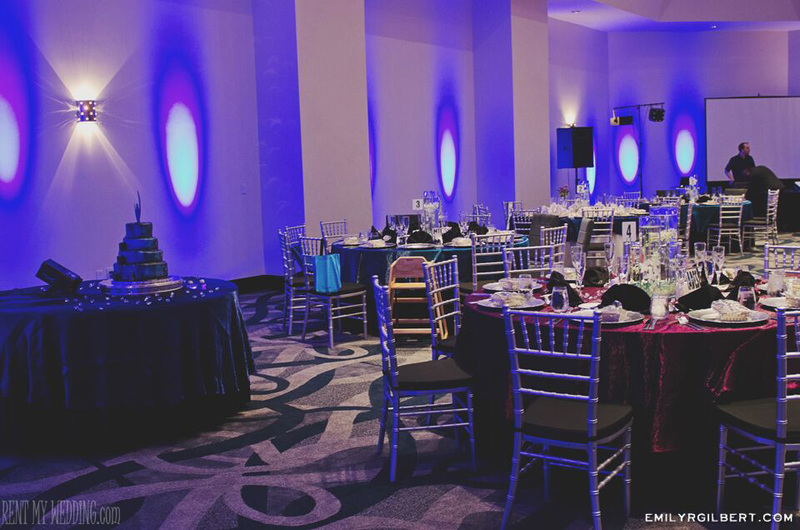 The walls were magically washed in indigo using 22 uplights. 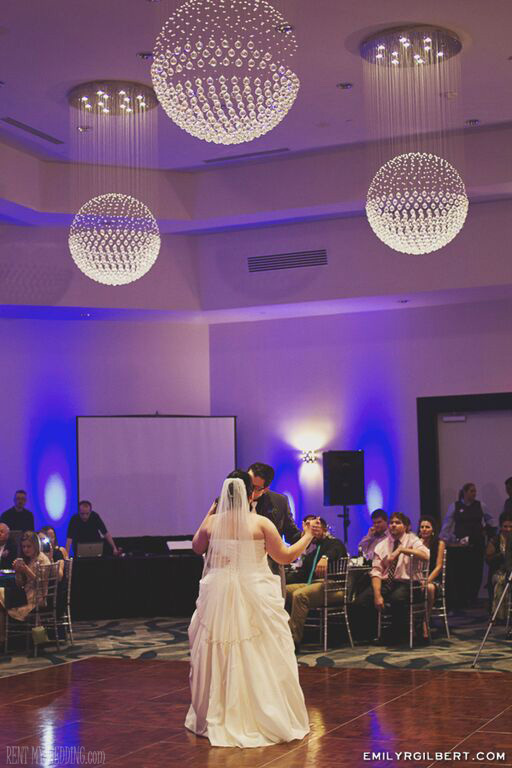 Their blue gobo light read: Jessica & Michael, THROUGH ALL OF TIME AND SPACE 3.14.15. What a perfect signature to their new beginning as Mr. and Mrs! 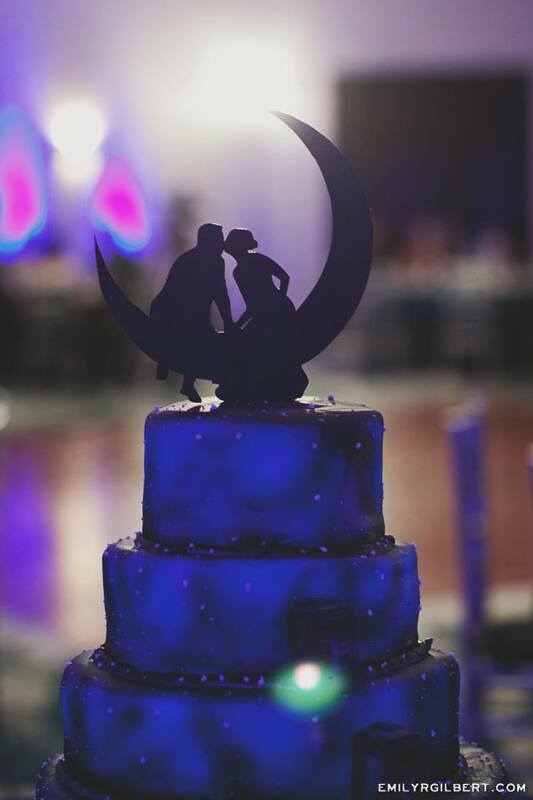 Even the cake topper was a couple kissing on top of the moon. How romantic! We wish this marvelous couple a happy and bright journey of love until infinity and beyond!